The locals call it the Deli, and the sign reads Manzanita Grocery & Deli. But you can call it the Little Apple. It’s sitting smack dab in the middle of town, a small, almost recluse building—save for the foot traffic going in and out—laden with a beach scene mural across it’s street-facing outer wall and benches to match. We’ve pulled into the one good spot to the east, on 2nd Street, which I’ve dubbed “locals only parking”, and in our time here we’ve visited this little grocery on average three times a day. A red headed woman behind the counter always greets us, asking when she’s going to see that new baby we’d recently brought home. Her name is Jan and she knows ours as well. The owners’ kids play soccer with our oldest, and occasionally he pops out from the back office to help out with an extra long line, which might be five or six people deep during a busy beach day in town. That length of a line is nearly enough to fill one half of the store, though. A small produce area shares space with their modest but up to date collection of DVDs for rent. Somewhere between the rack of candy bars and grind your own coffee, the deli is tucked away, a couple of working women putting together hot dogs, oatmeal cookies and turkey sandwiches to your heart’s content. Between the paper towels and the condiments they’ve managed to squeeze in a little space for you to pick up a pair of beach shades or a nice hoodie that bears the seemingly official seagull logo of the City of Manzanita, all 500 or so residents that live their full time enough through the year to call it their home. The Little Apple is quintessentially named. 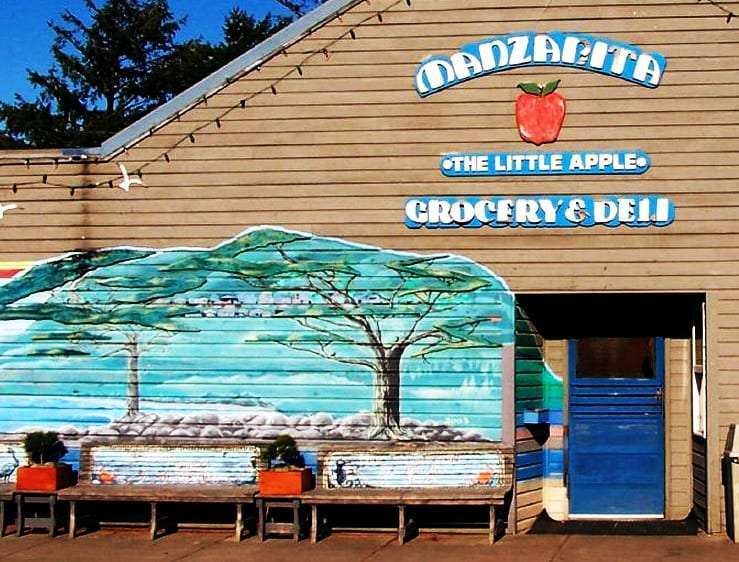 Manzanita means “Little Apple” in Spanish, and just as the town itself is old fashioned, small and tucked into itself, so is the grocery store that bears it’s name. Their isn’t a lot of anything, but there’s certainly a lot of variety. Looking for a six pack of Verner’s ginger ale? They’ve got that? Mexican Cokes, too. A healthy selection of beers ranging from all the PBR and Miller Light you might need to take out onto the boat with you, to tall boys of Oregon craft brews like Deschutes’ Inversion. 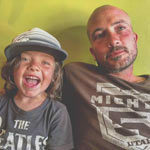 The position as Mini-Ambassador to the Beach comes too from the flavor of conversation happening in the store. Back behind the counter Jan jokes with a regular, maybe someone she’s known for decades, about the various goings on of his particular morning, and later lays out a few random observations on the state of the rain to a young couple in town for a week from Seattle. Darryl in produce is smiling and pointing under the vegetable stand to some wood, and the guy he’s talking to bends down to grab a couple of piles before joining the rest of his pack of college kids, not too hip and not too straight, who lay six packs of Fat Tire on the counter then ask if they can take a few extra free newspapers. Beach fires will be seen lighting the coast up beneath the cliff for hours after the Little Apple has made it’s last sale for the day. But sure enough, earlier than most folks in town will care to get out of bed, it’ll be back in business for another round of just another day on the North Coast.